Powers/Abilities: He possessed the normal strengths, weaknesses and features of vampires including superhuman strength, the need to consume blood, the ability to turn into mist, fangs, claws, etc. He lacked knowledge of all his vampiric weaknesses and powers, but made good for it with his extensive education in economics and his knowledge about modern technologies. (Blade: Vampire Hunter I#1 (fb) - BTS) - Aaron Thorne was a burnt-out yuppie. One day Varnae turned Thorne into a vampire and made him the leader of his secret clan the Bad Seed. He was mainly responsible for the creation of the Aceldama drug and the Necrotech Program. (Blade: Vampire Hunter I#1) - Thorne sat in his office in a skyscraper somewhere in NYC and talked about his creation and his achievements with his favored thrall Angel. He became mad when his Necrotech Program predicted the return of Dracula and threatened to gut Angel when he asked if preventive measures should be taken. Thorne ordered Angel to bring the car around in one hour so that Thorne could go to the Aceldama factory and supervise the production line start-up of the drug. He crushed a bust with threats for Dracula on his lips and then entered a locked-up vault with his (still living) dinner in it. Later that night Aaron Thorne went to the Aceldama factory. He talked to the already addicted thralls and bragged about his plan to turn the land into the Vampire States of America. Suddenly Blade attacked, but Thorne wasn't afraid of him and even ordered everyone to leave him alone because Thorne wanted to have him all for himself. Thorne dominated the fight with his superhuman strength, but then Blade sliced Thorne's throat with his broken sword and stabbed him before leaving the factory quickly. The factory exploded behind Blade, but Thorne survived and swore revenge. (Blade: Vampire Hunter I#2) - Angered by the destruction of the factory Aaron Thorne destroyed more busts in his office. Angel brought him fresh clothes for the upcoming meeting with the Sisters (Bad Seed members?). Then Thorne ordered Angel to inform their Bad Seed allies in L.A. to start the next phase of their plan. 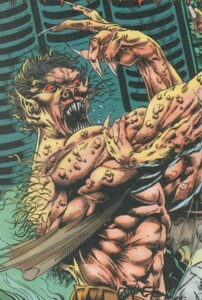 (Blade: Vampire Hunter I#3) - That night Thorne watched Blade fight Dracula and his thralls in the "Body Hammer" club. He sent Angel to Blade with a dagger and when Blade accepted the present he was opened up for Thorne's psychic influence. Thorne used him like a puppet to fight Dracula and smiled because they were killing each other, but Blade realized what was happening and searched for Thorne in the crowd. He tossed the dagger at Thorne and it got stuck in Thorne's intestines. Dracula attacked Thorne for interfering in his affairs and Thorne threw him through the building's wall, but Dracula returned and a brutal fight ensued between the vampires in their monstrous forms. Thorne taunted Dracula with the fact that the Bad Seed still had his son Janus and nearly paid for it when Dracula finally overpowered him. Angel came to Thorne's aid and distracted Dracula for a second that gave Thorne the chance for a comeback with an attack from above, but then Blade started the club's fire sprinkler. The running water burnt Thorne's skin and he gave a psychic call to Angel who carried him out of the club to a saver place. Comments: Created by Ian Edginton (writer), Douglas Wheatley (pencils), Chris Ivy (inks). Originally I intended to do a profile on the Bad Seed, but in NYC everything was centered on Thorne and everything else was well described in the profiles for the other members. Therefore I decided to do a profile on Aaron Thorne and the Bad Seed became a sub-profile. I suppose only vampires were able to become full members of the Bad Seed and everyone else involved with them were just associates. This is the reason why I didn't list thralls in as part of the group. I'm not 100% sure of Taj Nital's inclusion, but he kidnapped Janus and Thorne mentioned that Janus was still in the possession of the Bad Seed. But how did Varnae vamp Thorne in the modern era...before Marie Laveau aided in Varnae's modern resurrection? Aceldama also known short as "Ace", was a drug created by the Bad Seed under the supervision of Aaron Thorne. It consisted of an instantly addictive narcotic and blood products from his thralls. One hit turned the user into an addict and a thrall of Aaron Thorne. Thorne was sure that the drug would enable the Bad Seed to take over America within six months. Sadly the factory with the drug and all the test subjects was destroyed by Blade before the drug was ready for shipment. 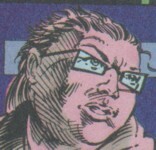 Mister Angel was Aaron Thorne's most favored thrall. He possessed superhuman strength, carried around a knife all the time and was at least a head taller than Aaron Thorne. Like a manservant he carried out all of his master's orders without questioning them and accompanied Thorne everywhere. In Thorne's office he was once threatened by his master for suggesting preventive measures against the return of Dracula. In the Aceldama factory he was helpless when Blade destroyed it. In the "Body Hammer" club he gave Blade a dagger as present from Aaron Thorne and later saved his master's life twice. First by distracting Dracula and then by carrying him out of the club after failing to stop Blade from starting the fire sprinklers. They were Varnae's secret clan. Shortly before he was destroyed by the Nightstalkers Varnae turned Aaron Thorne into the new leader of the Bad Seed. 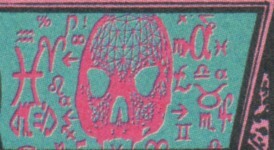 Under Thorne's leadership they created the Necrotech Program, the Aceldama drug and worked on the resurrection of Lord Varnae. All their plans were thwarted by Blade except for the resurrection of Varnae which succeeded due to the help of the Voodoo Queen of New Orleans Marie Laveau (read the profiles for Marie Laveau, Night Terror and Varnae for more info on the resurrection in Blade: Vampire Hunter I#4-5; links can be found on top of this profile). Other schemes of the Bad Seed stayed unrevealed. Isen was a thrall of Aaron Thorne. He led the Aceldama factory in New York City. After successful tests on humans, Thorne ordered Isen to get a million units ready for shipment, but Blade broke into the factory. Isen had to tell the guards to stop shooting because they would be blown up if somebody hit the ethanol tanks. Then he helped his master out of his coat and watched him fight Blade. Thorne lost, Blade got away and the factory was blown into pieces when the guards hit an ethanol tank after starting shooting again. It is unknown if Isen survived the explosion. It was a computer program created by Aaron Thorne. Every historical occult event was downloaded into its matrix and by using a chaos theory form of random analysis it was able to predict future events. Thorne wasn't pleased when it predicted the return of Dracula.